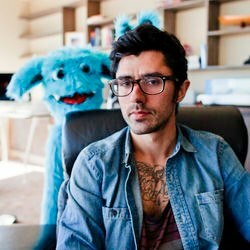 The Cataracs have been on the music scene for some time now producing some of the biggest hits in pop, electro, and hip hop, but also for his own skills as an artist. The latest single called "Big Dipper" combines all different genres into a catchy anthem so it was only fitting that it would have an entertaining video to accompany it. The visual was directed by Colin Tilley, who always directs some quality music videos. Watch below.